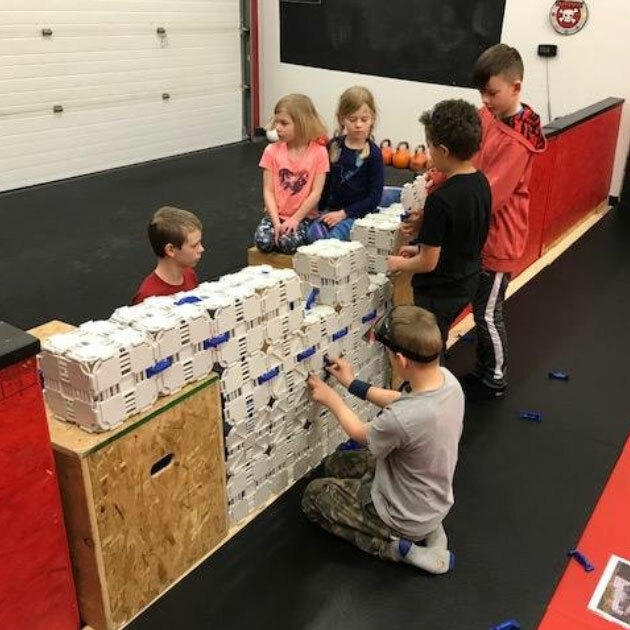 Your review is hugely important to us and it helps others learn about this creative Nerf accessory. Love this product to death, perfect for both cover and using them as targets for nerf wars. Excellent Addition to any Nerf Battle! I really like this system! It can be used to create cover, create targets, be used for target practice, even build an extensive dart catching array with some extra netting! Right now I have a small tower set up to do accuracy testing and the reactive targets are great way to know when you're landing tags on target. A solid target to shoot at a reasonable price. Simply put? The best nerf accessory I could have ever wanted. Very easy to build solid structures that are seriously fun to shoot at. Great construction, and a decent value for what you get. I supported Blaster Boards on Kickstarter. 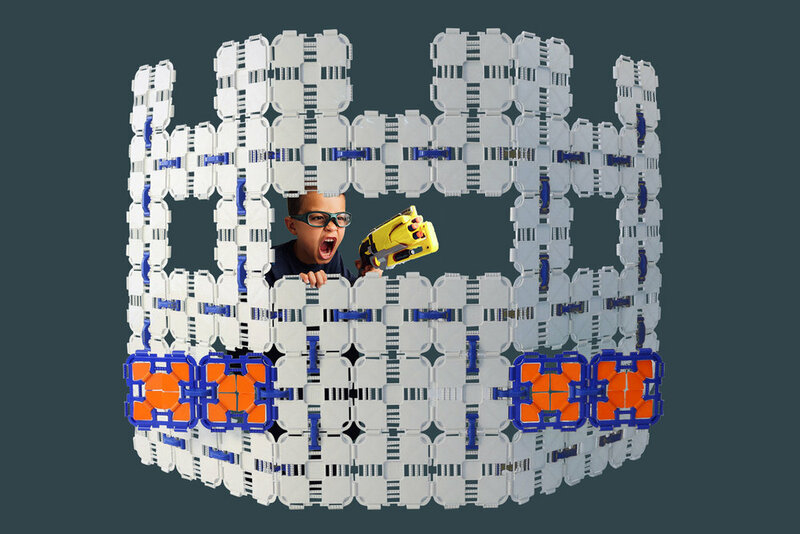 The product is great for building forts in Nerf wars, and the water-proof feature works great and is good for Super Soaker. It is also great if they get muddy because washing them won’t effect the functionality in any way, shape, or form. I bought this for my son for his 12th birthday. He has had a lot of fun playing with the Blaster Boards. He figured out how to put them together on his own and has made several different types of targets. I like that Blaster Boards allows him to use his imagination. This is a great product. I backed this through Kickstarter at the urging of my husband. He had seen some early demo product sent to NERF YouTube reviewers that he followed and thought we needed this for ourselves. We've gotten to the point in our home collection that we can have a full scale war in our backyard and we need to start looking into bunkers and other strongholds. The pack that came was easily transportable, easily clipped together (the 4yo helped create) and light enough to easily move around our living room. 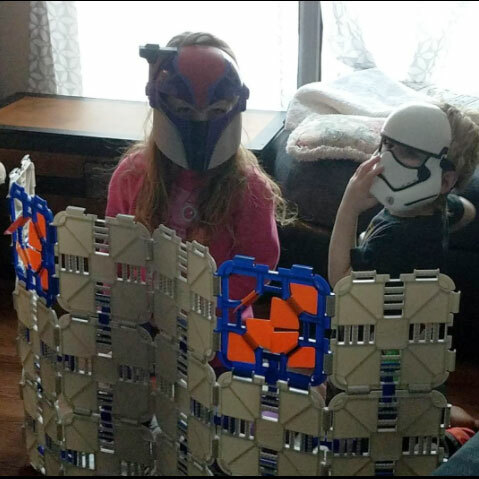 We lucked out, as the set came in the middle of a brace of snow days and immediately occupied the younger half while allowing for fun and target practice (without the kids behind) for my "big kid" husband. Will likely add to our bunker pack once the weather turns warmer and we get to start more thoroughly outside. Initial tests (too cold yet for all out play) show that it stood when built with ground support on our lawn and stood up to being shot at without falling over. (Forgot to build the ground support first try, fell over when hit due to uneven dirt.) Video included shows the NERF Nemesis unloading full 100 rounds at spinning targets. I run Nerf War Parties and Camps and these were the best addition to the Day Camps. 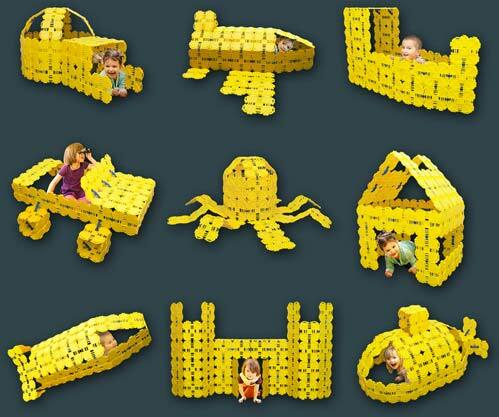 These kept the kids busy for hours building and designing their custom forts. I loved how easy they were to use, and how durable. The kids were begging to play longer with them that was a first! For any nerf lover or any business that has Nerf Parties this is a MUST. Im a adult and I loved the things! THANKS FOR ALL OF THE REVIEWS!